R1.6 Billion Reconstruction Project Brings Maydon Wharf Infrastructure Up To Date. Transnet National Ports Authority is reconstructing the quay walls at Maydon Wharf – the largest break bulk and dry bulk handling precinct in the Port of Durban covering 120 ha of port land – to ensure safe operations, meet the needs of larger vessels calling at the port and enable increased throughputs. Speaking at the African Ports Evolution 2015 conference at the Durban ICC on Tuesday afternoon, Senior Operations Manager in the Port of Durban, Zola Nkowane, outlined the Transnet R1.6 billion project, which is being overseen by Transnet Capital Projects. The main contractor is Stefanutti Stocks AXSYS Joint Venture. 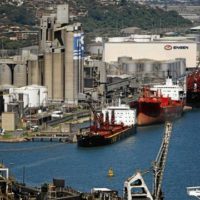 “The Maydon Wharf infrastructure upgrade forms an integral part of Transnet’s Market Demand Strategy which aims to enable the effective, efficient and economic functioning of an integrated port system to promote economic growth. “It involves the reconstruction and deepening of six of the 15 berths in this precinct. 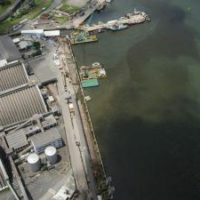 Once completed the berths will have a draught of 14.5 m enabling them to handle vessels with draughts up to 13 m, however the Maydon Wharf entrance channel will still need to be deepened thereafter to enable these vessels to sail in fully laden,” she said. Transnet National Ports Authority is reconstructing the quay walls at Maydon Wharf – the largest break bulk and dry bulk handling precinct in the Port of Durban covering 120 ha of port land. The quay walls in the precinct were originally designed to handle vessels of approximately 20 000 DWT versus the 55 000 DWT vessels now calling. Bigger vessels call mainly half laden due to the current draught and width restrictions. Berths 1-2 and 13-14 are currently under construction, following the reconstruction of berth 12, which was completed in November 2012. Berths 3-4 will be under construction early in 2016. The work has involved demolition of paving, rail track work and services, construction of new steel sheet piled quay walls, demolition of existing piled crane beams, extraction of timber, concrete piles and a limited number of steel sheet piles and removal of the existing quay wall and capping beams. Work includes driving of inclined grouted steel anchor piles (being used in South Africa for the first time), backfilling behind the quay walls, construction of new reinforced concrete capping beams, supply and installation of bollards, fenders, ladders and quay services, construction of railway tracks, layer works and paving, dredging of material adjacent to the berths and construction of rock scour protection. The main challenges have been balancing operations and the project, including site access, executing work around the existing ship loader foundations and conveyor, as well as obstructions and incorrect as built information supplied. The project team has also had to contend with strong winds and wakes formed by tugs operating in the precinct affecting floating equipment used for construction. As a result the team has implemented night and weekend shifts and mobilised additional plant to ensure that the project remains on track. Among achievements to date include a satisfactory audit report, the successful pull out test on the anchor pile system and the completion of all piling and the new cope on Berth 1. A record 4500 tonnes of steel was offloaded, transported and stacked during a continuous 84 hour operation. 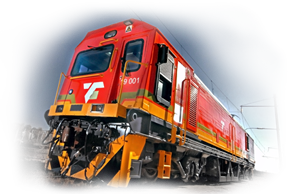 Twenty percent of the total contract value was set aside for supplier development, including training, employment and local content, in line with Transnet’s social development programme. Rare skills are being developed and transferred during this ground-breaking project. A young TNPA engineer doing his in-service training achieved 75% for his report using experience gained on site. Also being trained on site are a quantity surveyor, a planner, a cost engineer and a contract administrator.